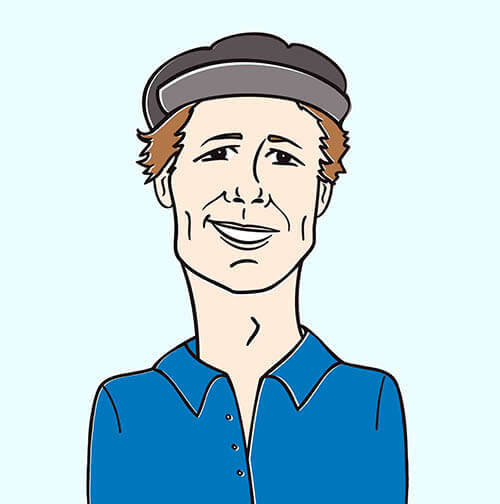 Hello music lovers, it’s Andy Gesner and the staff from HIP Video Promo here with a spooky new clip from an internationally-recognized voice. The screen starts black; soon, a torch is lit, but it doesn’t illuminate much. Frightened-looking faces emerge from the darkness, and seem to be floating through space. They’re in a paddleboat, navigating a body of water at nighttime; on the banks of the dark river, war-painted tribesmen watch their progress silently. The sailors are headed (or fleeing from) a mansion house that’s been struck by disaster. The empty swimming pool is strewn with bodies. We’re not shown any close-ups, so it’s impossible to tell if the people in the pool are alive – but they aren’t moving. Inside the house, it’s just as creepy: human figures lie still on the floor of a wrecked study. A dog pads around the wreckage. There’s no direct light, no revelatory shot, no blood, and no clue to indicate what’s happened. Yes, mystery hangs over the haunted debut clip by Fever Ray. 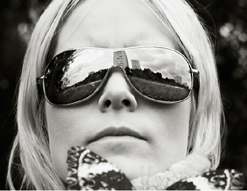 It’s the same intrigue that pervades all of Karin Dreijer Andersson’s work. As half of The Knife, she lent her voice to some of the Nordic invasion’s most affecting and most famous songs, including the strange and unforgettable “We Share Our Mothers’ Health”. That track – and its stark, frightening, red and black animated video – established Dreijer Andersson as an American underground favorite as well as a legitimate leftfield star in her native Norway. Although she’s best known for her work with The Knife, she’s collaborated with dEUS and Rokysopp, and she continues to release material through her own independent imprint. It would be inaccurate to call the first release by Dreijer Andersson’s latest project a generally-anticipated one, since fans of safe, conventional rock are likely to be frightened by the intensity and pure strangeness of Fever Ray. But to those who appreciate experimental pop, adventurous songwriting, expressive synthscapes, scary sound, spooky stories, and twilight Scandinavian chill, there’s unlikely to be a more exciting or rewarding album made available in 2009. On “If I Had A Heart”, the lead single from Fever Ray¸ Dreijer Andersson’s voice sounds spectral, beguiling, and otherworldly; laced as it is over a stuttering synthesizer and machine drums, it can affect some seriously altered states. The Knife is an uncommonly theatrical act; K arin Dreijer Andersson is well-known for her arresting costumes and cosmetics. In the Andreas Nilsson-directed clip for “If I Had A Heart”, she appears in full death’s-head make-up: she’s an apparition by the riverside, a singing, hooded skeleton. With her high cheekbones, angular features, and long white-blonde hair, she looks the part – she’s remarkably videogenic, but not in any conventional manner. Dreijer Andersson isn’t a pop star for timid viewers, but if you’ve got any taste at all for the macabre, the dream-haunted, or the bizarre, she’s your girl. Malmö-based Nilsson has directed clips for many of Scandinavia’s leading lights (Love Is All, Goldfrapp, Jose Gonzalez); while he’s capable of shooting sunny-day footage, it’s clear that his vision runs toward the bleak and Gothic. He’s worked with Karin Dreijer Andersson before – his clip for The Knife’s “Silent Scream” featured some of the most disturbing puppetry ever captured on celluloid. His dark imagination parallels Dreijer Andersson’s own, and with “I Had A Heart”, they’ve come up with their most stunning collaboration yet. Handle with care: visual poetry this striking is likely to seep into your dreams. Mute is back with another killer video, and we are thrilled to champion the Fever Ray “If I Had A Heart” clip! If you need more info, call Andy Gesner at 732-613-1779 or e-mail us at HIPVideo@aol.com. You can also visit www.Mute.com orwww.FeverRay.com to find out more about Fever Ray.